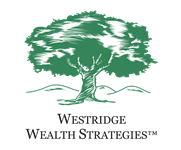 Westridge Wealth Strategies™’ (WWS) mission is to provide integrated wealth management services to families and business owners to assist them in achieving and preserving wealth, financial well being, and a life of significance. WWS delivers a balanced platform of investment management, tax strategy, risk management, and asset and estate protection services to achieve its mission of truly integrated wealth management. Many financial services companies claim that they are comprehensive, but provide only investment management and trading services with limited or no experience providing comprehensive wealth management or working with business owners. Business owners and start-up employees or founders today are extremely busy and need more comprehensive services from a competent, experienced wealth advisor similar to a private banker or family office manager. Wealth Advisor and Founder, Robert M. Cheney, CFA, CFP®, has garnered more than a quarter-century of wisdom from managing client wealth in constantly changing financial markets. Mr. Cheney receives fee-based compensation for his services and his professional credentials have always required that he maintain a fiduciary level of care with clients, placing their interest ahead of his own. WWS is an independent wealth management boutique and contracts with a national broker dealer to provide comprehensive services for its clients. Employees in the home offices of DFPG Investments and Loring Ward are dedicated to WWS and work with Mr. Cheney on behalf of his clients to implement a broad range of services. Building off of DFPG Investments and Loring Ward's resources in areas such as investment, pension, and insurance administration, WWS is able to maximize time working side-by-side with clients to help them solve their wealth management needs instead of focusing on back office operations or managing extensive staff. WWS is an independently-owned firm and has no obligation to sell proprietary products or services. WWS' commitment is to always provide unbiased advice, impeccable service, and diversified financial resources to serve your individual needs … that’s the benefit of objectivity. Westridge Wealth Strategies seeks and benefits clients with a minimum of $1,000,000 in investment assets and/or $100,000 yearly in excess, discretionary business income. To discuss your personal situation with Mr. Cheney or to be added to our eNewsletter (complimentary) please call (650) 233-9122 or email info@westridgewealth.com.